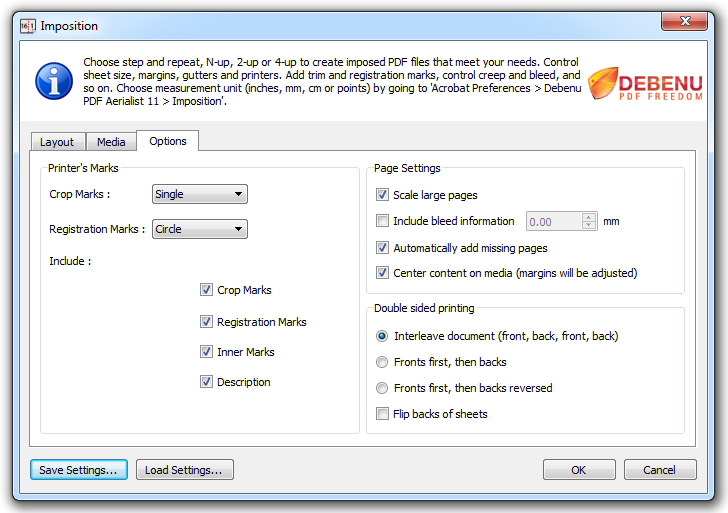 Debenu PDF Aerialist includes an PDF imposition feature which allows you to perform both n-up and step-and-repeat impositions on the current PDF document. To launch the imposition tool select “Plug-ins > Debenu PDF Aerialist > Imposition” from Adobe Acrobat’s Menu. N-up, Step and Repeat, 2-Up Booklet and 4-Up Booklet. 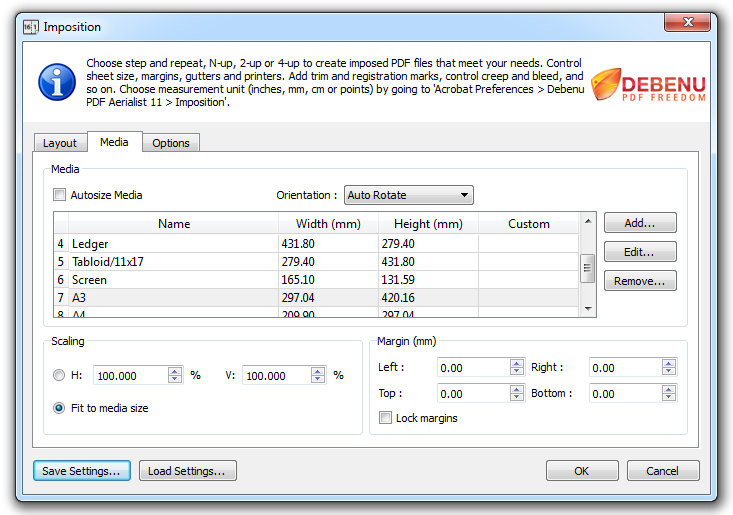 Control gutters, page ordering, binding, crop marks, registration marks, inner marks, page settings and more. The imposition tools are easy to use and quick to process your PDFs. Best of all, you can save your project settings and reuse them whenever you like. Step and repeat pages for business cards, labels, stickers, etc. Perform advanced N-up, 2-up and 4-up imposition for book creation. Automatically shuffle and rotate pages. Use work and turn, sheetwise, stack cut and sequential layouts. Bind using saddle stitched and perfect bound. Specify sheet size, margins and gutters. Enlarge or reduce page size (size of the media | auto-size media) to any of the available standard or custom sizes. Autofit, scale, rotate and center pages. 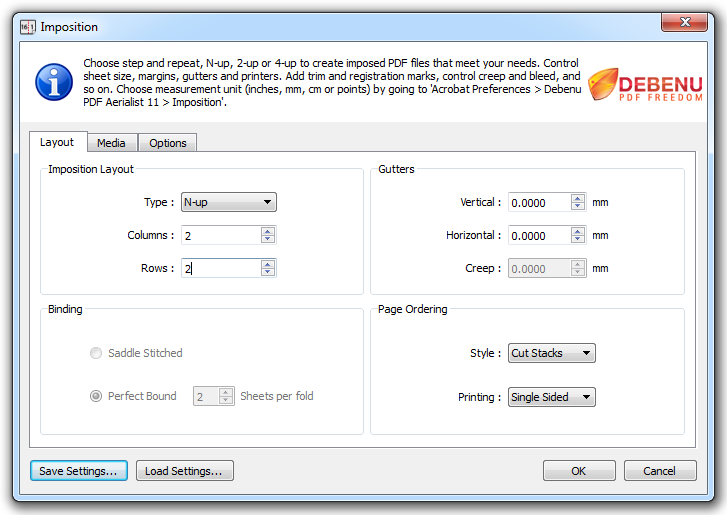 Optimize for single and double sided printing. Save and reuse job settings.